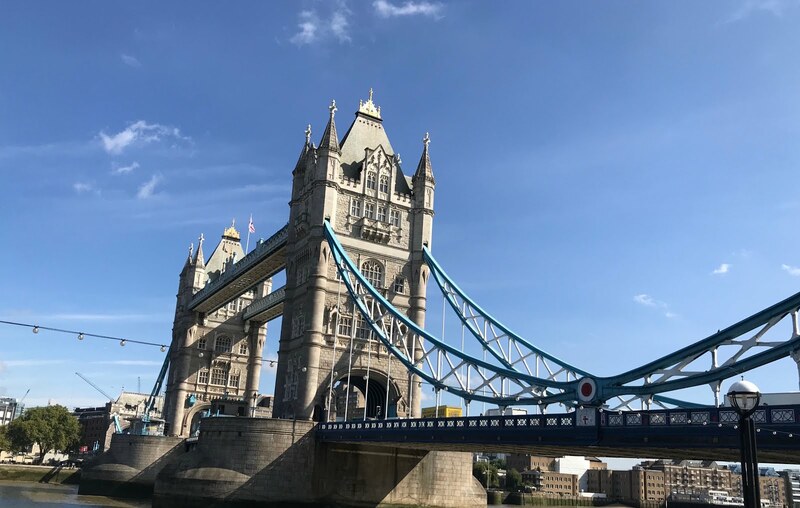 Since we traveled to London in a group of six we all felt we needed a light itinerary, attempting to pinpoint what everyone wanted to do most. K and I started writing this itinerary and finished it up with the help of my brother and his fiancé. My brother and his fiancé were full of good tips since they both have co-workers who have lived in London. The itinerary is written as note to our family so please excuse the causality of it. Our hotel The Corinthia is centrally located almost right on the River Thames, opposite the London Eye, so we marked any attraction under a mile as walking distance and anything over a mile with it's closet underground station. We did not make it to everything on this list especially the extensive list of restaurants and bars but we did scratch the surface. I'm still editing photos from the trip and trying to recall the steps of each day and should be getting the post, about what we did do, up on the blog soon. Saturday 9/15 after we check into the hotel and get washed up we should be ready to hit the streets somewhere between 130pm and 3pm. This would great day to walk down to the London Eye, Big Ben, Palace of Westminster and maybe the Churchill War Rooms. 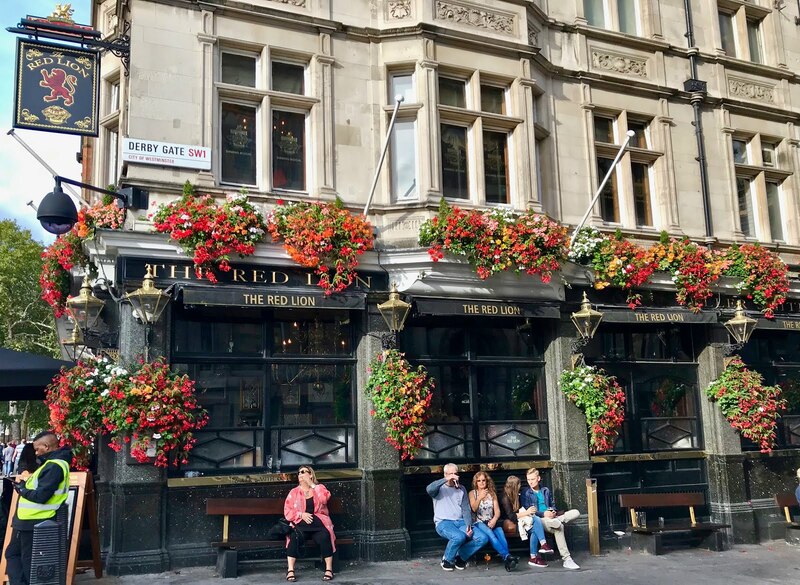 If we get hungry these three pubs are on our path and get great reviews for fish and chips, St. Stephen's Tavern, The Red Lion and Westminster Arms. Depending on timing we could take a river cruise on the River Thames which cost about $16 a person and after we have dinner reservations at Goodman at 745pm. Sunday 9/16 It's time to meet Meghan, Kate and the Queen! 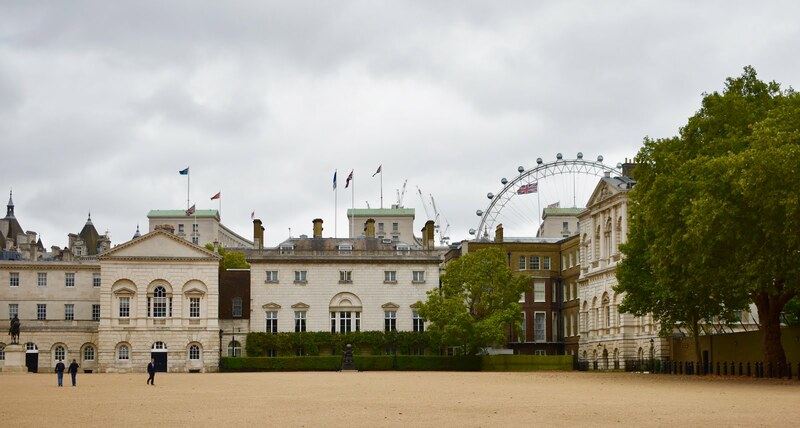 The idea is to head to Buckingham Palace, then walk near by spots like St. James Park, Hyde Park, maybe head to Harrods or Piccadilly Circus for shopping and Sharon wants to have high tea at Sketch. 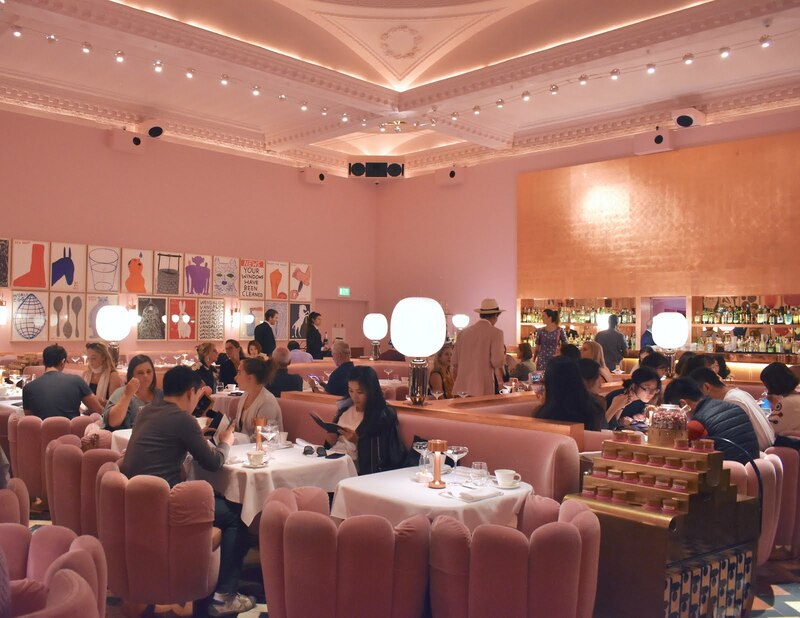 Sketch is located in the SoHo area above Piccadilly and there is plenty to do before and after high tea. We have dinner reservations at The Ledbury at 745pm. Monday 9/17 Today we are going to head to The Tower of London, London Bridge, Tower of London, Borough Market and The Ministry of Sound. We have dinner reservations in the neighborhood of Shoreditch which is a hipster, street art, young area we'd like to wander before dinner for a while and get drinks at one of it's many bars. Our diner reservations are at Fifteen, a James Oliver restaurant at 730pm. Two bars which came highly recommended are Callooh Callay and NightJar. Tuesday 9/18 this our day to play catch up and decide the night before what we might want to do and see anything we've missed but need to see. 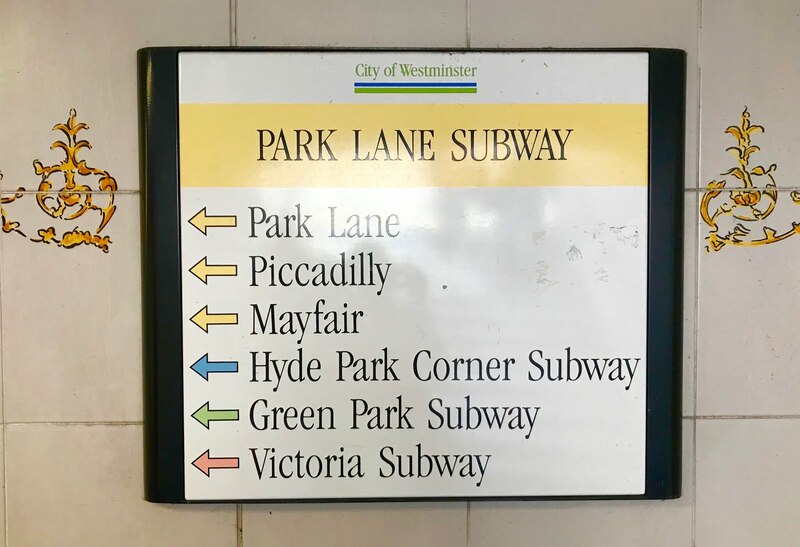 Some suggestions are, Chelsea, Notting Hill, Hyde Park, etc. Can't wait to hear more about your trip! My husband and I are heading there for a week at the end of October while he has a work conference. We'll have more than enough time - just trying to figure out what to do! I'll be posting what we did and where we ate, etc soon. But you definitely have to go to Sketch and stop in Harrods for shopping!